Please click on the Fact Sheet of interest. The following presentations were created to provide project related information to the community as well as the Stakeholder Advisory Committee. Please access the links below to view the presentation of choice. Presentations over 5 MB have been noted. Please scroll down to find the document(s) of interest. Some documents have been subdivided into chapters for easier download. Please click on the document name or document chapter title to view. Documents over 5 MB have been noted. This report provides and assessment of factors that influence transit propensity such as demographics, transportation, and land use. This report provides an overview of the factors that influence the development of transit and land use alternatives, as well as the means by which these alternatives were tested and the results of the testing process. The final report summarizes the actions needed for the implementation of transit along South Fulton Parkway to serve the needs identified through the previous efforts noted in the previous reports. 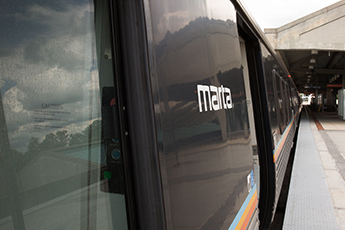 These steps includes actions by MARTA, local jurisdications along the corridor, and regional planning partners such as Georgia Department of Transportation and the Atlanta Regional Commission. Please scroll down and click on the map of interest to view. All maps are less than 5 MB unless otherwise posted.